Quantity Per Pack: 500 NOS. -FI 15mm*1/2", 22mm*3/4", 28mm*1", 35mm*1. 1/4", 42mm*1. 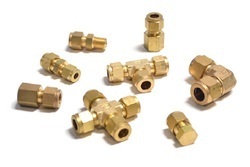 1/2", 54mm*2"
Our company has gained immense accolades in the field of offering Brass Compression Union to the clients. 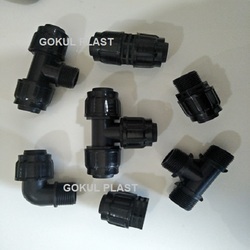 Stainless Steel Compression Fitting, Size: 1/2" And 2"
Size: 1/2", 1", 3", 3/4", as per std / customize / requirement , 2"
We are offering Compression Fittings to our client.